Every week, I'll be hosting this roundtable. The post will go live Wednesday nights, and the link-up feature will stay open for 7 days. Bloggers can share as many AIP recipes as they like. Feel free to choose new recipes or old ones from your archives. Just don't repeat them in future roundtables. We want the archives to be full of 100% unique recipes. When you link-up, type in the URL of the actual recipe rather than your blog's home page. Recipes cannot have any of the following ingredients: processed foods, food additives, refined sugars, refined oils, grains (including corn), dried legumes (including soy), fresh legumes (green beans and peas), dairy (including ghee), eggs, nuts and seeds (including nut/seed milks an oils), nightshades, and most spices (herbs are OK). Phew! You can see why we need a Recipe Roundtable. Every week, I'll highlight two reader favorites (most clicked links) from the prior week's roundtable, as well as my favorites. To be reminded of each week's roundtable, simply subscribe to my blog. *Jacinta shares a simple, fruit-sweetened treat! *Update 2019: This blog is no longer online. Here's an equally flavorful flatbread recipe from Rally Pure! This week, I'm highlighting two delicious chicken recipes! *You know I love easy slow cooker recipes! *Erin lets seasonal stone fruit shine in this chicken dish! 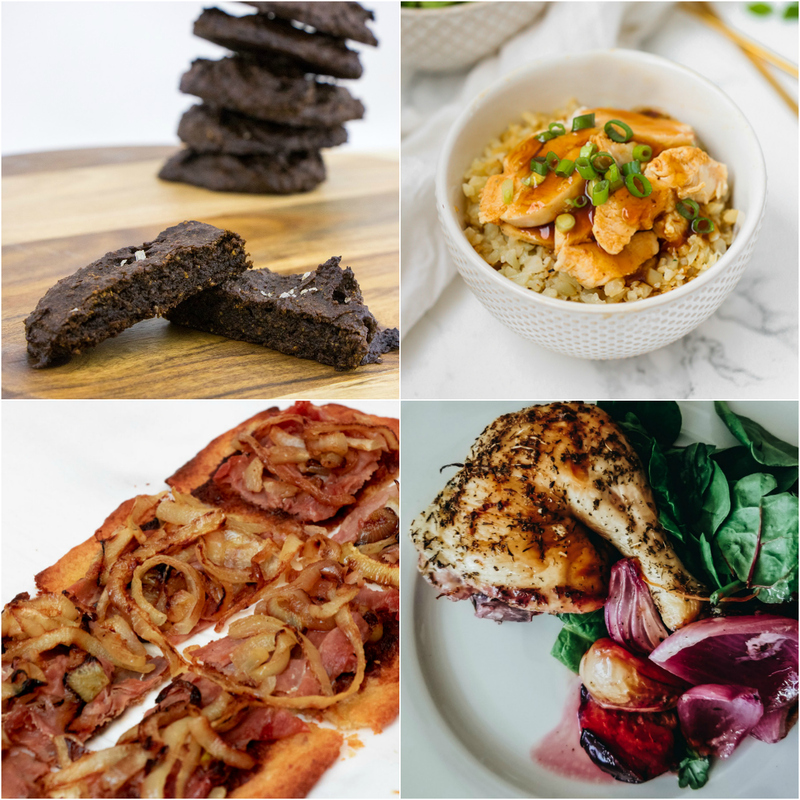 To see the favorites from this week + a whole new group of recipes, visit Roundtable #228!